By buying this product you can collect up to 12 points . Your cart will total 12 points that can be converted into a voucher of 12,00 zł . 1 299,00 zł tax incl. The MXT 14 is designed for batteries that are put under a lot of strain, making it ideal for commercial vehicles, buses, trucks and CV workshops. 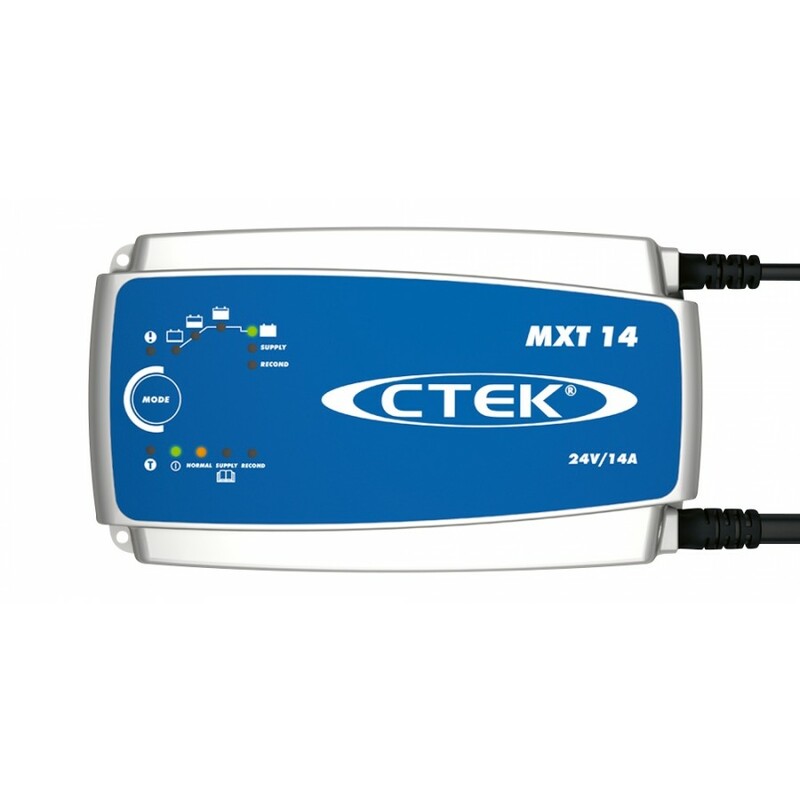 The MXT 14 professional 8 step 24V battery charger delivers 14A to 24V batteries from 28-300Ah and is suitable for maintenance charging up to 500Ah. Its features include battery diagnosis to establish whether the battery can receive and retain a charge, a Recond mode for restoring and reconditioning stratified and deeply discharged batteries, and a built in temperature sensor for optimised charging regardless of weather conditions. 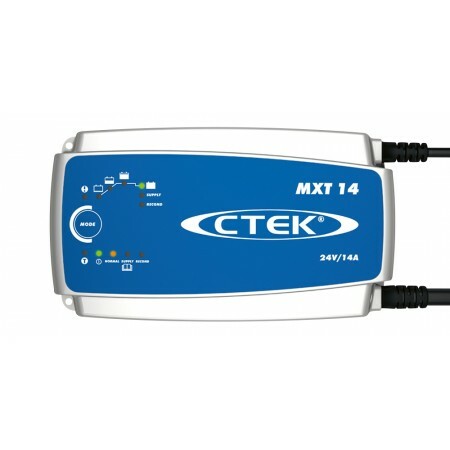 The MXT 14 also has a ‘Supply’ mode so it can be used as a 24V power source.